Those familiar with the story of Zuckerberg’s rapid rise from mischievous hacker to CEO of the globe’s most popular social network might find his claim a bit altruistic, but not unexpected. The letter was just one part of Facebook’s official request to the U.S. Securities and Exchange Commission in support of its bid to begin selling stock publicly. The entire filing is massive, and analysts have been combing through its 150 pages (not counting index and associated documents) for hints about Facebook’s market value and economic potential. Billions of dollars are at stake. But the real measure of its long-term viability may not be lay in balance sheets and profit statements, but in the little bits of time some 840 million registered users* spend every day updating their status, catching up with friends, or just “liking” something they’ve found on the web. And so Facebook’s SEC filing begs the question: is it building “real value for the world,” or is it little more than a website for selling ads and wasting time? Hampton is the lead author of a new analysis, released by the Pew Internet Project, exploring how people actually use Facebook. Titled “Why most Facebook users get more than they give” the study tracked a sample of users over the course of a month, exploring patterns of use, behavior and interaction. What they learned was in parts expected and surprising. These members, dubbed “power users” in the study, post, comment, like, friend and play on Facebook significantly more than most other users. And, consistent with previous studies, it’s these users that provide much of the “real value” that Facebook members experience. They’re the ones more likely to comment on you rather than the other way around. In other words, these are your friends who give more than they get: the ones who walk into a room and everyone notices. So those who spend a lot of time online in social networks tend not to be of the classic, introverted dude-in-the-basement scenario. At least, on average. Surprising as that may (or may not) be, there are what Hampton calls paradoxes in the study. For example, the finding that your Facebook friends, on average, have more friends than you do. Other findings: women update their status significantly more often than men; people who are active online tend to be more politically active, and while your Facebook “friends” may have little connection with each other, users who are active – for example, “tagging” real-world photos of their friends – tend to have more robust real-world (or “offline”) social networks as well. It would seem, at least according to Hampton’s study, that by and large people who are more engaged in their offline social friend network are going to be more engaged in their online one as well. And this, frankly, should surprise no one. So big shock: people who are popular in the real world tend to be popular in the online one as well. So what? “Pervasive” is another term for “sticky” – one that Internet financial analysts use to describe how long a user stays on a website, and how often they come back, to evaluate its financial well-being. 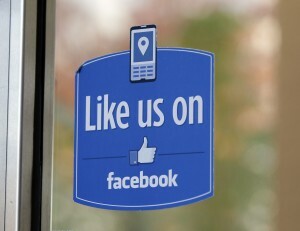 If Facebook is successful in keeping people “stuck” to its site and services, its financial future looks fairly bright. You can read the entire report online at the Pew Internet and American Life Project. *Ed. note: We noted before the various debates about the actual size of Facebook’s user base. The company asserts over 840 million registrations; however that number hasn’t been independently verified, and would also include individuals with multiple accounts (something Facebook discourages) and those users who have simply stopped using the network. The independent ranking firm Alexa estimates that for February 2, 2012, 640 million individuals visited the website. 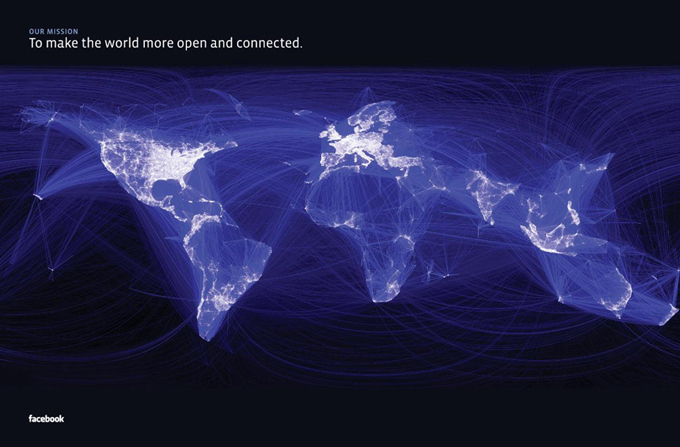 By either measure, Facebook would be the second-most visited website in the world, far behind rival Google. The announcement caught many Internet analysts off guard. Late last week, on January 26th, the micro-blogging site Twitter said it was implementing changes that would allow it to withhold content from specific nations upon request. In other words, if a government asked, Twitter could block certain tweets or users on a nation-by-nation status. Initial reaction was rapid and heated. Al Jazeera’s assessment of “Twitter’s censorship plan” summed up much of the criticism, while bloggers such as Jacqueline Drayer accused the San Francisco-based firm of caving in to authoritarian governments in hopes of boosting its corporate profits. The hashtag #twittercensorship became a hot trending topic (of all places on Twitter) and organizers suggested a tweeting blackout on January 28th in protest. Russian journalist Oleg Kozyrev expressed concern about free speech during that nation’s upcoming presidential elections, and elsewhere the government of Thailand, which maintains tight control over web use, endorsed the idea. For free speech advocates, it seemed at first like a bad development. But soon, some of the criticism began to moderate, and then give way to a new question. Namely, is Twitter’s new policy actually more pro-free speech? 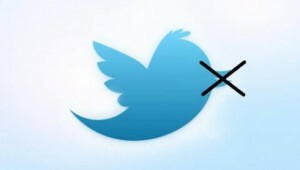 “Twitter did not do a very good job of communicating this change in policy,” notes Eva Galperin with the online rights group Electronic Frontier Foundation. “Twitter has taken down tweets in compliance with valid court orders for years. Now, instead of taking down the tweet for everyone, they are able to block the tweet in the country where the court order originated. The net result is less censorship, not more,” she says. Twitter has always had the ability to block tweets or users, which it has exercised on rare occasions, usually for claims of copyright infringement. The difference is that those blocks were global, meaning specific comments or users were completely wiped off its site. Under its new policy, government requests to block information will apply only to that nation; users elsewhere will still be able to view the offending material. That’s small comfort to those whose feeds are being censored, but with the material available to the rest of the world, blocked tweets may eventually seep back into the blocking country. With approximately 1 billion tweets every three days, reading through all of Twitter is the Internet equivalent of sipping water from a fire hose. Consider what needs to happen: a government must comb through Twitter to find a specific tweet and prepare an official request, that request will be reviewed by Twitter’s legal staff, and only when it’s been deemed legitimate will the material be pulled. That’s a span of days in a medium that changes by the second. So by the time a tweet is yanked, most likely everyone interested in its content will have already seen it. It is almost comically easy to evade Twitter’s nation-by-nation blocks, as Twitter itself lays out in its online Help Center. By default, a users’ national status is determined by their ISP; however users can simply change their national status manually in their profiles.Thus if someone on Twitter sees that an account or message has been blocked, they can just update their profile and view the blocked post. To be clear, not everyone is comforted. Critics still worry that any trend toward less free speech online only empowers those seeking more censorship, and there’s no telling how – or how often – Twitter will use this new power. By law, Twitter will have to comply only with legitimate blockage requests that come from nations where it actually has a physical presence. So, for example, in the case of Russia, Twitter has no offices on Russian territory, so technically it will be able to ignore any requests from Moscow if it wishes. However, Russian authorities always have the option of blocking Twitter completely, as several other nations have tried to do. In the end, despite the initial ruckus caused by the announcement, little has changed. Twitter, like every other Internet firm, can remove content if it chooses, and nation states can try and remove websites, if they choose. Perhaps they should have expected this. Years ago, the founders of Google adopted as their semi-official motto the phrase “Don’t Be Evil.” And that, for Google’s critics, has been the gift that keeps on giving. Every time Google announces something different -unveiling Google+, tweaking its search algorithms, quietly adding location tracking on Android phones – writers sharpen their knives and roll out the “evil” motto. “Maybe it’s time for Google to rethink its ‘Don’t Be Evil’ motto,” wrote the Washington Post‘s Joshua Topolsky this week. “Google Inc. is evil,” began Matt Hartley in Thursday’s Financial Post; “or maybe it isn’t.” We could go on, but you get the idea. What spurred this most recent flurry of “evil” headlines? A sweeping series of privacy changes that Google is soon putting into place, changes that will potentially affect millions of users. Let’s take that apart a bit. Google has dozens of products that each collect personal data on users. Its famous search engine, for example, puts tracking cookies on your computer (or phone or tablet) that allows it to remember all the searches you’ve conducted in the past, and shape new queries based on that history. That means if you’ve searched for restaurants in London recently, new search terms are more likely to be steered first toward London even before you hit enter, through Google’s “Instant” predictive search function. Its YouTube service similarly tracks videos watched, while Gmail stores hundreds (if not more) of names and addresses of people you’ve written to. Google Docs holds documents, some of them possibly very private, in one lockbox, while Google Calendar keeps your scheduled appointments in another, recording where and with whom. And Google+, its social network challenge to Facebook, holds information not just on you and your likes, but for all your friends as well. Separately, all these applications potentially hold gigabytes of data on any one user.Together, Google will have intimate profiles of users that it says will give users a seamless experience across all of Google. Search for “Tom’s Restaurant” and it may remind you of your last appointment with Dr. Tom Scrapebone, offer a review of a local eatery your friend Tom Eatslots liked, recommend a music video by the group “Tom Tom Club” based on your stored music files, and suggest purchasing a book by your favorite author Thomas Inkstain by using your Google Wallet. It may sound creepy, but frankly Google’s aim is no different than those of rivals Facebook, Apple, or even Amazon: to retain users within the universe of Google products and applications for as long as possible. In short, keeping everyone inside the “Googleverse.” However, combine this with the growing reach of Google’s Chrome browser, and the popularity of its Android mobile platform, and you’re suddenly talking really creepy. There are options, of a sort. Users with various Google accounts can simply not log in; Google won’t be able to combine the private data pools, but of course users won’t have access to any of the services or documents they’ve used in the past. People can also leave Google, opting for other computing services, leaving them only with the struggle of moving all their data from Google to someplace else. Or Internet users can simply not use Google, choosing Yahoo! for searches, Hotmail for messages and Facebook for networking. Each of these options, however, present their own unique privacy challenges. As Google says in its announcement, “this stuff matters.” And it’s all part of a longer, larger trend that increasingly pits individual privacy against the online experience. It’s become commonplace to hear people praise the virtues of social media. Facebook and YouTube are replacing radio and TV as the first stop for new movie previews and political advertising. Anyone who’s anyone has their own Twitter page and RMS feed. 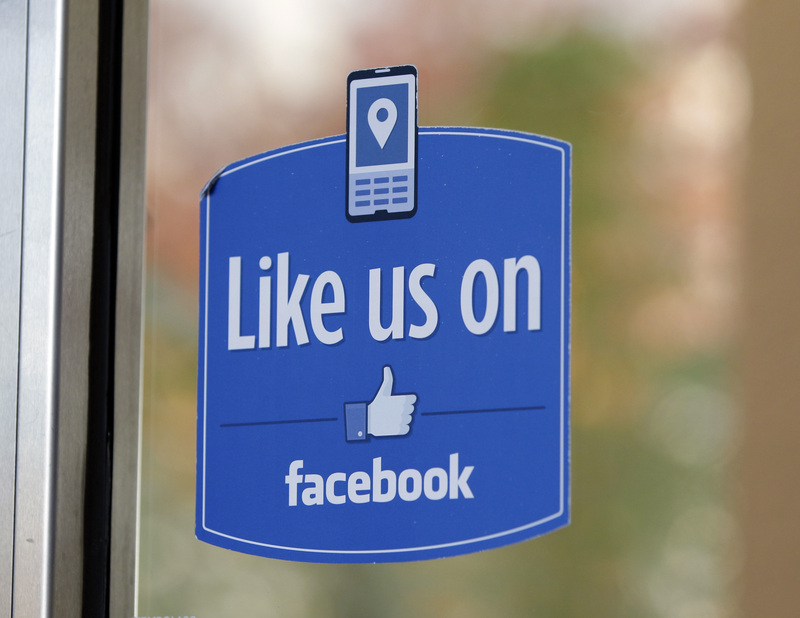 News outlets all but beg readers to “Like” and retweet their posts (as we hope you’ll consider doing for us!) and well-heeled businesses pay consultants handsomely for advice on promoting products and bolstering brands. Whether you’re a blogger, a businessman or a government, if you want to influence the public discussion, you’re using social media. But everything has its risks, especially things that are relatively new and haven’t been tested for years. Things like hashtags. Witness today’s entrant: the McDonald’s corporation. Purveyors of everything fast, McDonald’s quickly moved into social media, using digital tools to help build customer loyalty and counter negative public image. But this week they’re learning how rapidly that social media can turn ugly. “#McDStories” is a Twitter hashtag the global giant recently launched to market a softer, more wholesome image, asking readers to submit their own happy, wholesome McDonald’s memories and experiences. What they got was neither happy nor wholesome In fact, the idea backfired horribly. “I like to chomp into a nice juicy McRib after a long day of shopping for dialysis machines,” wrote Nelo Taylor. “Just saw a guy blow 2 snot rockets right in front of mcdonalds. 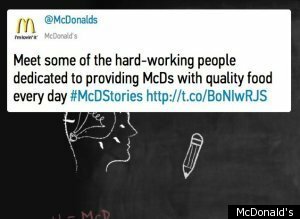 He must be the chef,” tweeted another.The #McDStories hashtag has become a repository of bad jokes and downright insults about the burger chain, and there’s nothing they can do to stop it. Let’s just say McDonald’s is not loving it. “This is what happens when the campaign is not authentic!” says self-described “social media observer” Alison Emerson, and she may be partially correct. While social media errors have largely been of the “individual saying something stupid” vein – such as the Chrysler marketing executive who tweeted about his hatred of Detroit drivers – there have been other examples of a company losing control of its carefully crafted social media campaign. Just last year, another fast food chain, Wendy’s, began its “#HeresTheBeef” twitter campaign, trusting that people would say pleasant things about their hamburgers. What they got was a hashtag that was quickly taken over by users making raunchy jokes. But now that #McDStories is a rapidly trending item on the Internet, it’s a guarantee advertising executives will more closely scrutinize any social media campaign that depends on user input. The lesson: it’s much harder to control a message when you trust the Internet to take ownership of it. Does Social Media Help or Hurt Terrorism? The recent headlines were enough to concern even the most cynical reader. “Terrorist groups recruiting through social media,” blared the headline at the CBC’s website. “Social Media Gave Terrorist Groups Second Wind,” read the report at pixelsandpolicy.com. “Terrorists making ‘friends’ on Facebook,” topped the Digital Journal story, underscored by an image of a masked person brandishing an automatic weapon. Why all the alarm? It turns out these and many similar stories were all prompted by a new study by University of Haifa communications professor Gabriel Weimann. In it, Wiemann asserts that “…90% of terrorist activity on the Internet takes place using social networking tools,” a claim also previously made by researcher Evan Kholmann. That terrorists were using the Internet took no one by surprise; that nearly all of their activity takes place in the relative open of social networking did. In Weimann’s view, terror groups have three goals for using the web: communication, coordination, and recruitment. And it’s this last goal – finding new members willing to take arms for their cause – that causes him the most alarm. McCants readily admits that terror groups are trying to use the web for propaganda purposes. The problem, he says, is that they’re just not reaching their target audience. Former CIA case officer, and now author, Marc Sageman, sees a landscape composed of fewer disciplined organizations like al Qaida, and more “self-recruited wannabees (hopefuls)” operating alone with only one or two other trusted associates. These solo actors may then likely turn to the Internet primarily for information: how to construct bombs, monitor security force movements or other tactics honed by jihadists in Afghanistan and Iraq. But this would only happen once the individual had decided on a terrorist course. Researcher Kholmann, however, sees the web becoming an ever more potent tool for “soft” psychological warfare – militants boasting of accomplishments and creating the aura of a successful group that others may want to join. For example, while he was alive, American cleric Anwar Al-Awlaki preached heated inducements to jihad from his base in Yemen. His sermons were fiery, exciting, and in English, the language of Colleen LaRose of Pennsburg, Pennsylvania. 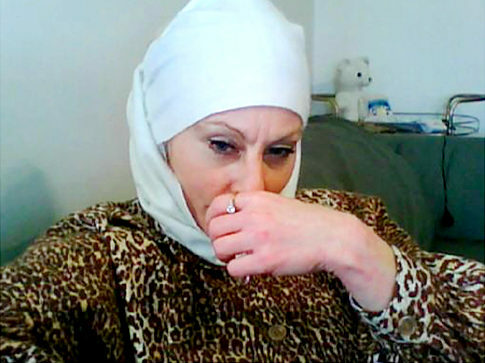 In time, Colleen became infamous by her new adopted character “Jihad Jane,” and was eventually charged with conspiracy to commit murder and support of terrorists. It’s those stories, even as few as there are now, that Gabriel Weimann focuses on. Whatever the most accurate view, it’s a fair bet that as long as we have terrorists operating in the real world, they will find their way to cyber-space as well. Just What, If Anything, Did Wednesday’s Protest Achieve? UPDATE: Friday, January 20, 2012: Not content to leave the battle un-joined, the hacker group Anonymous stepped into the SOPA fray Thursday evening by launching a massive denial of service attack on several SOPA supporters, including Universal Music, the RIAA and MPAA. Also targeted was the U.S. Department of Justice and U.S. Copyright Office; although those attacks are likely to have been prompted more by Thursday’s shutdown of the website “MegaUpload” by Justice officials. AnonOps claims that 5,635 individual machines were used to launch the coordinated attacks, the largest single effort yet by Anonymous. 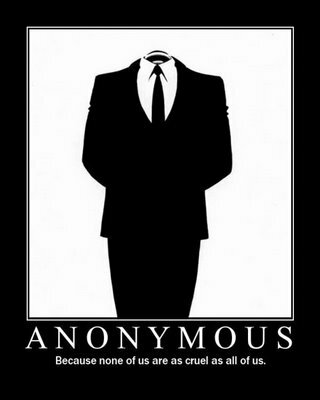 As we’ve noted before, when there’s a big story that has anything to do with the Internet, expect Anonymous to step in. Whether the protests and hacks changed minds isn’t clear; however it has changed the bills’ fortunes on Capitol Hill. Friday Rep. Lamar Smith (R-TX) announced he would shelve SOPA for the moment, while in the Senate, Majority Leader Harry Reid (D-NV) cancelled a vote on PIPA. It had been building for days. 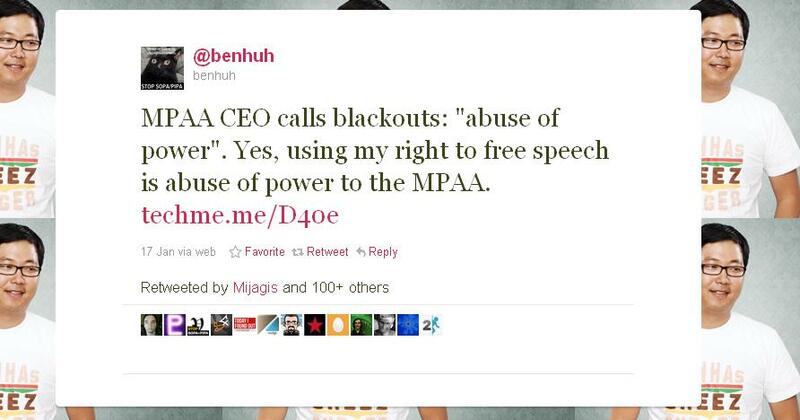 “Twitter, join the protest,” tweeted Ben Huh, founder and CEO of the mega-successful “I Can Has Cheezburger” websites. “Go Google for blacking out logo!” read another. For weeks Huh had been using his Twitter account and other means to encourage Internet companies of all stripes to join in a one day protest against two pieces of legislation currently before Congress. “SOPA”, for Stop Online Piracy Act, and “PIPA”, the “Protect IP Act” were designed, say its authors, to crack down on overseas copyright piracy by strengthening the U.S. government’s hand in who they could prosecute and remove from the web. Introduced more than a year ago, the legislation has the strong support of major entertainment companies such as Sony or the Motion Picture Association of America, or MPAA. But it has equally strong opposition, centered mostly among civil libertarians, online freedom activists and Internet-based firms like Google and Wikipedia. This back and forth has put the bills into a sort of legislative limbo – not scheduled for floor or committee markup, but not officially dead, either. 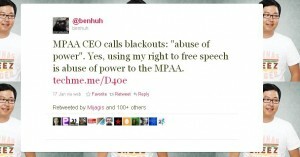 So beginning early January, Huh and others proposed a protest that would grab headlines, and perhaps knock SOPA’s advocates back on their heels. Their Internet sites would go dark for 24-hours, replacing their usual content with a stark message warning about the dangers of the bills, and urging users to contact their members of Congress. So what happened? To start, Wikipedia went dark – kind of. The online compendium of facts large to obscure was unavailable for 24 hours, offering instead a shadowy black-and-white message on why PIPA and SOPA would censor services like theirs. It was billed as a total blackout, but as mobile phone and tablet users quickly found out, there was a still a back door open for full access from mobile devices. Ben Huh’s “I Can Haz Cheezburger?” family of 54 websites of lolcats and goofy pranks all featured a large shield that could only be removed by clicking through to a site warning about the bills, and urging users to sign letters of protest. (Once clicked, however, all the lolcats were again available.) Google slapped a large black box over its logo, although its search function continued to work, and online magazine Wired blacked out all the text on its site, which, however, became visible when you moused-over it. In the end, the protest garnered headlines but changed few minds. Ebay, Facebook, Yahoo!, Google, Twitter and others still oppose SOPA, while NBC Universal, Comcast, 3M, Walmart, the RIAA and others still support it. And the larger question now is: what will opponents do if and when the bills actually start moving again in Congress? A one day blackout is one thing; shutting access for an indefinite period of time will be a much harder, and costlier, sell. For his part, SOPA author Rep. Lamar Smith (R-TX) has introduced a “manager’s amendment” – which you can read here – which represents a modification of the original bill, and one that, for parliamentary reasons, Rep. Smith may begin to move through committee as early as February. In the meantime, SOPA & PIPA proponents, such as the Creative Alliance, have announced they will soon launch an advertising campaign about the benefits of the bills. Gizmo Party Time in Vegas! If you have anything more than just a passing interest in what new electronic devices will soon be hitting store shelves, chances are good you’re either in Las Vegas this week, or wish you were. That’s because each year at this time, the mammoth Las Vegas Convention Center plays host to the International Consumer Electronics Show (CES), one of the world’s largest and the exhibition-of-choice favored by manufacturers to unveil their new products for the coming year. This year more than 31,000 exhibitors are showing off their wares (a new record) over 170,000 square meters of display space. That makes for a lot of tablets, smart phones, digital cameras, televisions and just about anything else that is hot in the consumer electronics market. Seeing and sorting through all that’s on display at the CES can tire even the most avid geek. Some of the displays feel more like science fiction than store shelf. Take, for example, Tobii Technology‘s new application called “Gaze.” Using proprietary software and a small video camera, Gaze allows users to control their existing laptop or desktop computers with a simple combination of eye movements mouse-taps. Want to open a new web browser? Just look at the icon and blink. Zooming, opening links, saving documents; Gaze lets users do much of this with just their eyes. 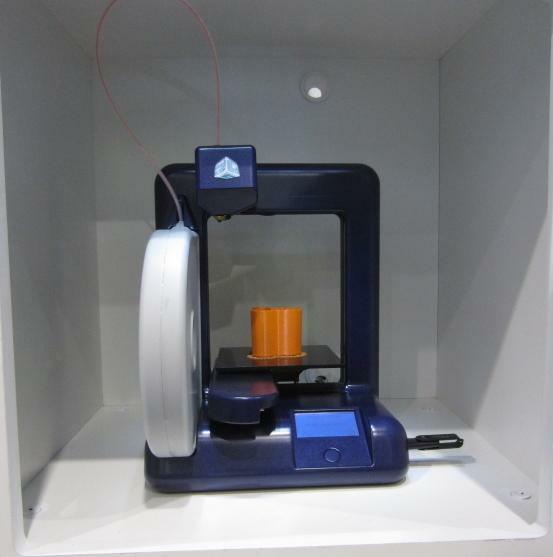 Then there’s the “Cube.” Manufactured by the firm MakerBot, the Cube represents the second generation of three dimensional printers (the first was titled, aptly, “Thing-O-Matic”) and the first for home use. 3-D “printing” has been around for several years: using a combination of digital scans and plastic resins laid down in successive layers, a wide array of physical items can be reproduced in full, including footwear, tools, medical devices and complex equipment, complete with intricate moving parts and gears. While the Cube is small, and presently limited in the total number of devices it can reproduce, MakerBot says it already has 15,000 object plans that can be downloaded and “printed” anywhere, with more on the way. There’s always a certain amount of gee-whiz in evidence at the CES, but its bread and butter are the high demand devices like computers and televisions, and the applications that power them. In 2011, tablet computers and 3-D televisions were the big buzz; this year, while tablets are still winning a lot of attention, 3-D TV has faded somewhat as consumers remain reluctant to invest in an uncertain technology. For televisions this year, it appears that thin is in, as TV manufacturers continue to shrink the thickness of their displays. And the quality of the picture these TVs produce has also improved with the introduction of OLED (organic light emitting diodes) displays. Compared to the popular LCD (liquid crystal display) and Plasma displays, the OLED offers screens that can work without a back light, produce true black levels with a higher contrast ratio. Continuing a several-year trend, manufacturers are also hoping to kick start the “Smart-TV” trend with new products that blend TV with the Internet. Also highlighted this year are the next wave of digital cameras, including several from Polaroid, the company that, way back in 1948, first offered instant film photography. After almost disappearing from sight after the introduction of the consumer digital camera, Polaroid is fighting back with its new Polaroid SC1630 Android Smart Camera – a digital device that incorporates the popular Google Android operating system for mobile devices with high resolution still and video capture. There’s much more on display, but the real story of CES is often the one that no amount of digital razzmatazz can answer. 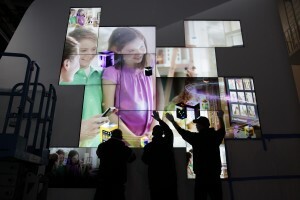 Namely, questions about the health of the consumer electronics market, estimated around $190 billion in the U.S. alone. And as for predictions about which items will prove hot – or not – in the coming year, there are no certain answers on display in Las Vegas. UPDATE Jan. 13, 2012: While 0xOmar seems to have submerged, at least for the moment, he’s inspired a little like-minded payback from Israel. Tel Aviv’s Ma’Ariv newspaper is reporting that an hacker named “0xOmer“, believed to be Israeli citizen Omer Cohen, has hacked the personal credit card data of at least hundreds of Saudi citizens, perhaps more, and published them online as retribution of 0xOmar’s attack of a week ago. There’s nothing new about a hacker who steals credit card data and publishes it online. There’s also little new about a hack attack being launched from one nation against another. What’s new is when one of those targeted nations labels the attack “terrorism,” or when one belligerent swipes a secret military asset of the other – all through hacking. There are two stories here, and they may or may not be connected. But they both point to a larger fact: as tensions increase in the Middle East, the Internet is increasingly being drawn into the battles. The first story involves continuing fallout and finger-pointing following last week’s hack of thousands of Israeli credit card holders. At least 14,000 card numbers and associated data were published Thursday and Friday on a variety of hacker-friendly sites like Pastebin. In one posting, someone called “0xOmar” took credit: “It’s 0xOmar from group-xp, greatest Saudi Arabian hacker team,” read the note, going on to boast of more than 400,000 personal accounts it had stolen from 80 Israeli websites. The credit card firm Isracard says only 25,000 accounts have been compromised, while the Israeli newspaper Haaretz reports that much of the data was outdated or redundant, leaving only around 14,000 Israelis at risk. Even still, that’s a significant hack for a nation as security focused as Israel, and officials are taking it, and 0xOmar, very seriously. Israeli Deputy Foreign Minister Danny Ayalon Saturday described the attack as a “…breach of sovereignty comparable to a terrorist operation, and must be treated as such.” Of course, first they have to find the hacker. While there are clearly hacker groups and radical organizations operating within the Saudi kingdom, it’s highly unusual for such groups to launch large scale attacks on foreign entities. Some analysts suggest this may have been an Iranian operation, others say Russian and North Korean elements participated, while an Israeli teenager says he’s found the real 0xOmar – a UAE citizen named Omar Habib living in Mexico (0xOmar rejects this, dismissing the teenager as “a stupid student”). Did Iran Just Hack the CIA? At a December 12 press conference, President Barack Obama put questions over the drone’s authenticity to rest when he admitted that it was, in fact, U.S. property. “We’ve asked for it back. We’ll see how the Iranians respond,” he told reporters. 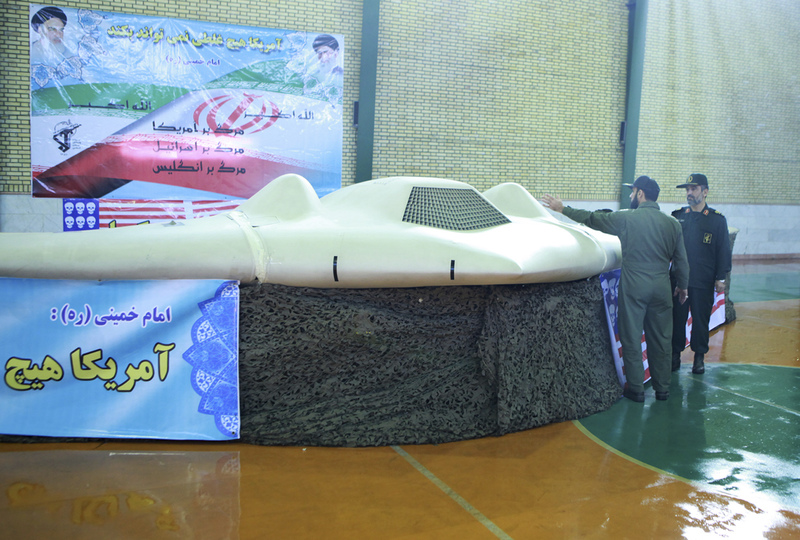 Iran is no stranger to employing hyperbole, or outright lies, in its military claims. For example, when the U.S.S. John Stennis aircraft carrier group steamed out of the Persian Gulf recently, Tehran said it was being “chased by Iranian warships” and was fleeing to the safety of open water – an unlikely claim to say the least. For Fleitz, the engineers’ claim of hacking the drone’s GPS navigation system, or the even less likely Russia Today report that the Revolutionary Guards had actually hacked the CIA’s drone command centers in Langley, Virginia, are all part of an awkward propaganda campaign aimed mostly at the Iranian public. It will take time before we will know with any certainty whether ‘0xOmar’ actually breached online security at Israeli credit firms, or if Iranian engineers were able to commandeer the drone by hacking. But for Fleitz and many others in the Internet security field, these stories demonstrate what they’ve feared for a long time: that as the geopolitics of any particular region become increasingly tense, the Internet will reflect and perhaps even amplify those stresses. 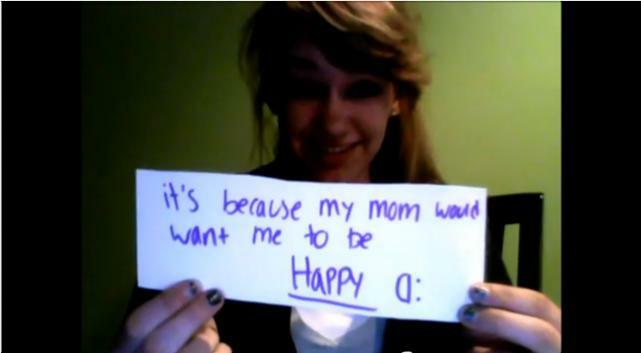 Why Are So Many Teens Spilling Their Secrets on YouTube? Their form, by now, is fairly standard. A young person sits silently in front of their computer webcam, cards in hand. Music plays in the background: maybe a pensive solo guitar, or a bittersweet song about love and loss. One by one they flip their cards down, each with a sentence, an idea or just a few words and a sketch, all while staring soulfully into the camera. Take, for instance, NatashaMarrie‘s video titled “a confession.” Seated in what looks like her bedroom, she smiles shyly, waves at the camera, and begins turning over cards one after the other. “I’m truly a happy person…” reads one as she nods, “even with all the hardships I’ve been through…” reads the next, her sad expression suggesting what’s to come. We quickly learn that her parents’ divorce has left her lonely, that her grandmother didn’t think she was “2 good”, and that she says she has been abused “physically and emotionally.” With each new card she tells us something very personal about her life, all while the singer in the background croons “I’m wearin’ my heart on my sleeve, ’cause girl I need you desperately…” Three minutes and forty seconds later her cards are gone, her secrets laid bare, and NatashaMarrie smiles and waves a sweet goodbye. Fade to black. Welcome to the Note Card Confessional. In 1965, film maker D.A. Pennebaker was making a documentary of singer Bob Dylan’s tour through England. To open the movie, Pennebaker and Dylan cooked up an idea. 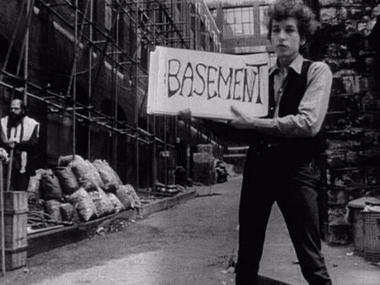 Shot in black and white in the alley behind London’s Savoy hotel (and featuring a confusing cameo by Beat poet Allen Ginsberg) Dylan silently shuffles through a stack of large cards with words or phrases from his song “Subterranean Homesick Blues” while the music plays in the audio track. It was an instant hit, becoming what some call the first modern music video. And it established a visual language that was appealing, easy to reproduce, and highly adaptable. Enter YouTube, cheap video processing, and a culture that’s more accepting of individuals sharing personal secrets and troubles, and you get the note card confessional. But where Dylan’s video was lightly amusing, these note card confessions draw from deeper, and sometimes darker, wells of human emotion. They hold little back, and watching such earnest young faces silently recount traumas isn’t always easy. One curious aspect of these flip card confessions is the consistency between videos. Never do the confessors speak their transgressions aloud, instead letting the cards do their talking for them. Emoticons – like : ( for a frowny face – and doodles of flowers or hearts punctuate emotional peaks of the story, with the music underlining it with an overall mood or message. Through it all, we the audience look the confessor directly in the eye, watching their face for all those human nonverbal cues that text alone can’t convey, while reading their secrets. If the numbers are to be believed, these note card confessions are strangely watchable. And they are exploding in popularity, which has some professionals concerned. Psychologists have long known these emotions don’t only come from what one does (or fails to do) but from what happens to others close by. A war veteran may feel guilt about comrades who died; a victim of abuse may experience debilitating shame. Confessing – documenting those things you regret – can be a powerful tool in healing a bruised psyche. There are literally thousands of these videos online. If you’ve never seen one, just go to the video share site of your choice, such as YouTube, and search for “note card confession.” Nina, Dwight, Ashlee, Jayce; they’re all there and many more, note cards lined up, just waiting for you to click on their video and learn of their secret heartaches and longings. Among them is Emmanuel Perron. A high school student in Rockland, just outside Ottawa, Canada, Perron initially seems happy enough, flashing a broad smile as he sits at a kitchen table. But it becomes clear that the French-Canadian senior is also wiping tears from his eyes as he flips through his cards, recounting stories of being bullied and his response. “I’ve cut (mutilated)” reads one card; “I’ve wanted to (commit) suicide” the next. The morning his parents first saw the video, he says they cried for an hour. “My father was actually kind of shocked it was affecting me that bad, and it kind of opened his eyes to how bullying had affected me.” In a way, says Perron, his father never heard him as clearly as when he sat silent on YouTube. “I just wanted to tell my story,” he says. Since changing schools, Perron says he’s still taunted by bullies, although now mostly online via Facebook or other networking sites. But he’s also heard from old and new friends who say they’re inspired by his story, and hopes his confession continues to go viral. “I’m definitely much happier now,” he says, adding that he hopes to study photography once he graduates. It’s an encouraging story: young person overcomes adversity and finds happiness. Unfortunately, these note card confessions don’t always have a happy ending. 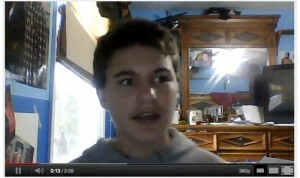 Seeing Ben Breedlove on his YouTube videos, you would never guess that the Texas teen had a bad heart. He seems healthy, happy and optimistic – everything you could want for someone starting their life. But Breedlove suffered from hypertrophic cardiomyopathy, a serious heart condition, and by the age of 18 had already survived several close-call heart attacks. On December 18, 2011, he posted two note card confession videos in which he offered thoughts on his life and his flirtations with death, including most recently when his heart stopped for three minutes. Breedlove recalls being in a place of peace. “I didn’t want to leave that place” one card reads. One week later, on Christmas Day, Breedlove died in Austin, Texas. 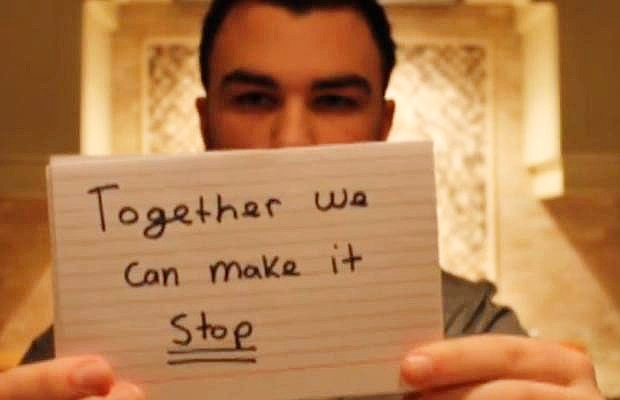 Even if you didn”t know this, Breedlove’s note card confession videos are difficult to watch. Once you’re aware he was just a week away from dying…well, this writer, for one, can’t watch them. But others do, and of the nearly 7-million views (as of this writing) they’ve received, many have left thanks, thoughts, condolences, or personal stories of their own in the comments section. Earlier last year, Jamey Rodemeyer, an openly gay teen living in Buffalo, posted a video where he discussed the incessant bullying he received at school. In it he’s candid – he doesn’t sugar-coat his experiences – but also encouraging, telling viewers that “it gets better – I promise.” Shortly after on September 18, at the age of 14, Rodemeyer hung himself; his lifeless body was found by his sister. Then there’s the case of Jonah Mowry. To the strains of Sia’s “Breath Me”, Mowry holds his arms to the camera showing scars from his cutting. As he prepared to begin 8th grade, he put together his note card confession, tearfully recounting his struggles with suicide, mutilation, bullying and other painful travails. Millions saw his video, re-posting it on sites like Facebook and turning young Mowry into an Internet sensation. “A lot of people hate me” reads one card as tears stream down Mowry’s face. It’s a heartbreaking story…but is it true? Shortly after, Mowry posted a second, non-confessional video. In it, he’s lying on a bed with a friend, and the two are talking animatedly, laughing with seemingly few cares (he’s since taken it down but others have re-posted it.) It didn’t take long before someone else posted “HAI DAIR Jonah Mowry admits he lied” on YouTube, igniting a fierce debate over whether Mowry’s first confessional video was true or not. Supporters and detractors began publishing their own note card replies, and “I Believe Jonah” became a rallying cry that attracted the support of celebrities like Ricky Martin and Lady Gaga. Much of the commentary was, frankly, ugly. Whether or not Mowry had challenges before posting his confessional, challenges found him soon after. For the record, Mowry has apologized for any confusion, but insists the first confessional was true. So what would motivate someone taking to the Internet to spell out in detail their secret pains and private anguish for public view? 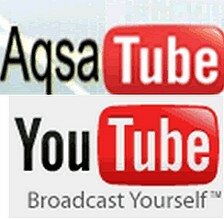 Why memorialize it on YouTube, with your own face and in your own words, where it will last forever? And why do so many other people watch? Emmanuel Perron says he was inspired by Jonah Mowry; he posted his video because he wanted to help people. Kaitlin Brand agrees with that sentiment, although the two have never met, and her story is very different from that of Perron. At 1:17 into the video she pauses, breaths deep, and reveals her secret. On October 5 of this year, Brand’s mother committed suicide. It was, in fact, 16-year-old Kaitlin who first discovered her mother, hanging in the woods behind their home. Brand is proud of his daughter and what she put together. But the digital marketing executive also understands the Internet can be a dangerous place, especially for an emotionally vulnerable teen. “There’s good and there’s bad,” he says, noting that with thousands of people now contacting Kaitlin from around the world, he handles her electronic communications for the time being. Helping people, reclaiming the past, clearing your conscience; these are all reasons so many teens may be posting note card confessions. Another reason may simply be that so many before have done so, making it less of “a big deal” among their peer groups. It’s something of a party game, this time of year, to look back and put together lists. Top ten this, bottom five that; trends that are in or out, predictions about the coming calendar year. Of course, it is largely that: a party game. Of all the moments of 2011, all the events on which tragedy turned or innovations sprang forward, there’s really no way to boil it down to a simple list. Was the death of Steve Jobs #5 or #4 in significance? Purely a matter of perspective. Which was the more important story, the attempt by Egypt to erase that nation from the Internet (unsuccessful) or efforts by Syria to keep it going, but use tricks to monitor and eavesdrop on social media (still ongoing)? That story hasn’t yet been finished. Has Facebook become everyone’s creepy friend? Depends who you ask. We’re not even going to play the game, instead leaving it to others for some fun on the New Years. Rather, we have just one nominee in a new category: Top Story That Remains A Mystery. That story starts and ends with one word: Anonymous. We’ve written copious items about the antics – some silly, some serious – of the Anonymous hacker hive. The year began with Anonymous trying to shut down MasterCard and PayPal, for their decisions not to process donations to the group Wikileaks. It continued with Anonymous targeting various Arabic governments trying to repress the civic unrest on the streets and online, moved to attacks on the U.S. government for various reasons, then to corporate titans such as Sony, in support of the “Occupy Wall Street” movements around the world, and the bloody Mexican drug cartels. Just days ago, as the year was drawing to a close, Anonymous hacked the private intelligence group Stratfor – of which yours truly is a user – and published the personal details of all those registered with the group to receive its services. This week the “AntiSec” branch of Anonymous published its handiwork. 50,277 credit card numbers were released, along with 86,594 e-mail addresses, 27,537 phone numbers and 44,188 encrypted passwords. (If you’re wondering if you’re part of the hack, you can check here.) Stratfor says it has addressed the problem, but of course, it really hasn’t. Now that all that data is out there, it can’t be erased. For just about every significant news story this year, some part of Anonymous’ digital shadow hung large. We’ve even heard from Anonymous personally this year; after one of our stories, members of the group (presumably) hacked my personal email account, just to deliver a message. Dear Anonymous: I hear you. But truth be told, I don’t fully understand you. Nor, I think, does anyone, really. For any given attack, there’s no sure way of knowing if Anonymous was behind it, or just some free-lancers looking for a little Internet mayhem. And then again, who’s to say what Anonymous even is? There’s no board, no director, no organizing structure. Just hundreds, or thousands, of web lurkers stirring up the digital pot. Anonymous is like fog: you can see it, but no matter how hard you try, you just can’t grab it. So as we look back at what’s happened, and squint hard to try and imagine what the future holds, our money is that Anonymous will be there throughout the new year, whatever the story. All good things to all our readers in the coming new year.